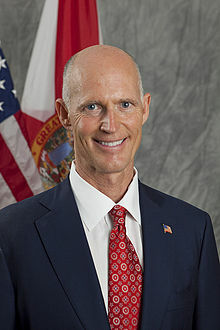 TALLAHASSEE, Florida -- Florida Governor Rick Scott and Amazon today announced Amazon’s proposal to create more than 3,000 full time jobs with benefits and more than $300 million in investment in Florida by the end of 2016. The announcement comes after Scott's denial last month of a behind-the-scenes deal that would have brought an Amazon.com distribution warehouse to Florida where Amazon would have been given a break on Florida sales taxes until after the 2013 Christmas shopping season. But under today's announced arrangement, the Governor's office said Amazon will begin collecting Florida sales tax "at such time as it is required under current Florida law." Although Amazon will collect sales tax, the e-commerce giant is looking for some taxpayer money for bringing jobs to the Sunshine State which has the potential of pitting local Florida communities against one another in a bidding war for the jobs. "To make the proposed job creation and investments economically viable, the availability of economic development incentives will be a material factor in any final location decisions," the Governor's office said in a statement.